If you were to ask Greenville, Ohio, residents to name the most famous and accomplished individuals to ever call our town home, you would most likely be given the names of sharpshooter Annie Oakley, journalist Lowell Thomas, and perhaps naval airship captain Zachary Lansdowne. A modern sports fan might even list retired NFL player Matt Light. Few Greenville residents would realize they were ignoring a group of brothers who were among the most respected in their field during their prime. 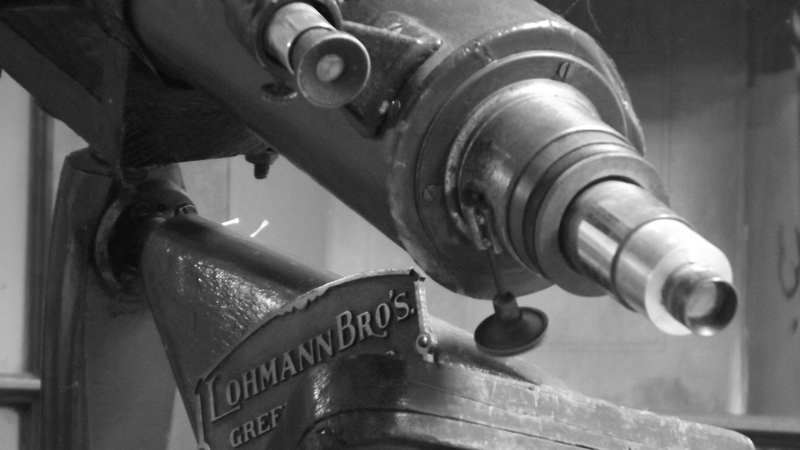 Few Greenville residents have ever heard of the Lohmann brothers and their finely crafted telescopes. The brothers didn’t stay amateurs for long. Though they maintained their father’s machine shop, building buggies, sharpening tools, and doing general repair work and machining, their passion was for telescopes, and it didn’t take long before they began to manufacture them professionally. 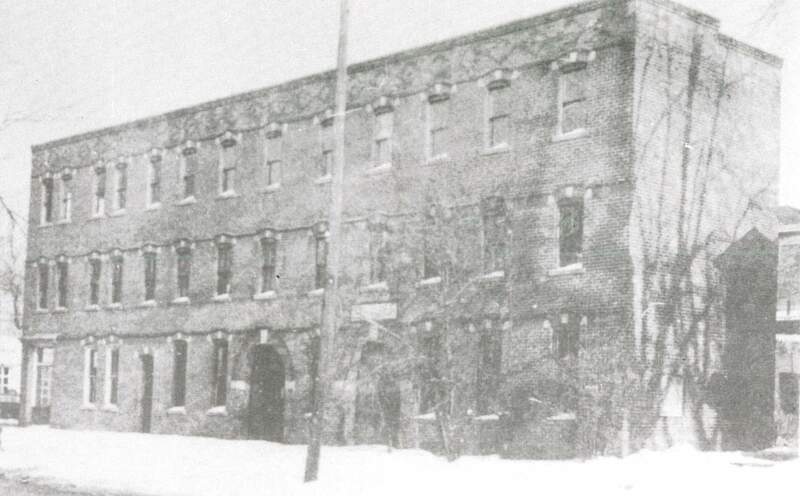 The family’s machine shop stood on the corner of Main Street and Sycamore Street in Greenville. The initial building that housed the business had been a wood structure built sometime before 1863, but the family razed this building and built a new three-story brick building on the same site in 1902, doing almost all the work themselves. A 1902 edition of Popular Astronomy reported the completion of the building, congratulated the brothers on their new 6,500 square-foot workshop, specially noting “Underground apartments for storing valuable glasses, testing them, etc.” The building housed their machine shop, their telescope works, and Robert’s second-story painting studio. The brothers’ parents had moved the family to Greenville most likely sometime in the 1860s, though exact information on the time of this move is unavailable. The boys’ father, William August Lohmann, was born in Hamilton, Ohio, in March 1837, the son of a hotelier in that city. William married Elizabeth Morganthaler (b. July 1842 in Hamilton) on October 23, 1860, and, as was common in that day, they immediately set about establishing a bustling household of children. The oldest, John, was born in 1862. He left home at a young age and was never heard from again, though the age at which this occurred–and the reason–is unknown, as is the date and cause of his death. The oldest daughter, Elizabeth (“Lizzie”), was born in November 1963, and died of undisclosed causes in January 1884. David was born September 1866, followed by Robert in August 1870, Edwin in November 1874, and Herschel in March, 1882. Many official sources list the family’s surname spelling as “Lohman,” though the most reliable sources consistently use the “Lohmann” spelling (the eventual telescope business was spelled this way as well: “E. Lohmann, manufacturer of Refracting and Reflecting Astronomical Telescopes”). A few sources claim the brothers immigrated from Germany in 1890, but the most reliable information discounts this, including U.S census information. As soon as each of these children was old enough, they began to apprentice in their father’s shop. All of them were talented in multiple fields. David was a trained engineer and expert photographer who also played cello in various orchestras during his lifetime. Robert was a gifted painter (in addition to his fine art, he also painted signs for the family’s business and customers) and clarinetist. Edwin was an excellent violinist, and even taught music for some time (he is listed in the 1900 census as a music teacher). Herschel was also a trained engineer, working for the Greenville Manufacturing Company for a quarter century before retiring for health reasons. The talent–and passion–they all shared was astronomy and the making of telescopes for this hobby. David and Herschel left the business as young men (David moved to West Milton and established a photography business and died in 1954), but Robert and Edwin remained with the family business. As they matured into their profession, their telescopes achieved far greater acclaim than merely impressing Greenville newspapers and local stargazers. 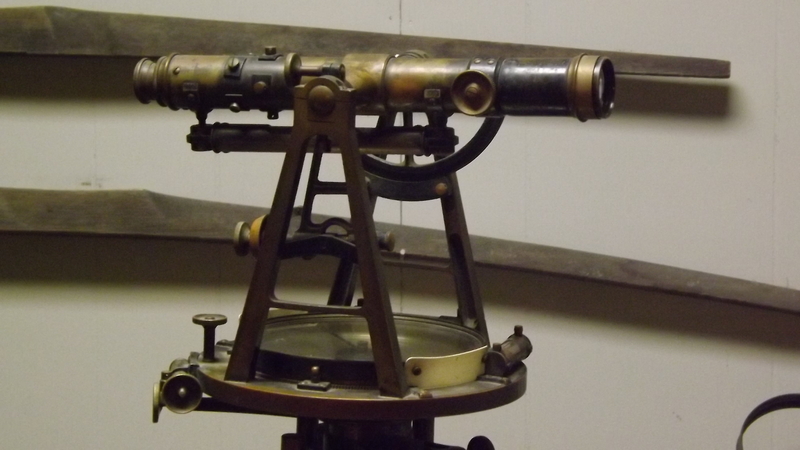 The 9″ Lohmann refractor scope used for decades at Parsons College in Fairfield, Iowa. The scope now resides at the HUT Observatory in El Paso, Texas. It has been difficult to nail down with certainty which institutions purchased Lohmann scopes. 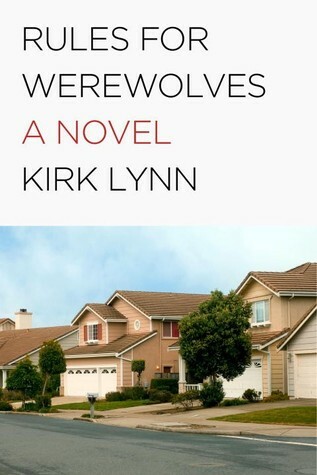 The few local journalists who have written articles about the brothers over the years have seemed content with relying on (and peddling) apocryphal information rather than doing their research homework and following up on leads to confirm their veracity. Since the acquisitions in question took place nearly a century ago and none of the original parties are still living, it has been hard to find solid information for this article. Still, thanks to the patient help of a few contacts, I’ve been able to confirm the whereabouts and original homes of a few of the Lohmann scopes, as well as accrue a list of possible locations of others, though these cannot be confirmed. Leslie Peltier was probably the most famous amateur astronomer in the world during the mid-twentieth century, and authored many books, including Starlight Nights: Adventures of a Star-Gazer. The Ohio native who discovered six comets and countless other heavenly bodies owned a massive 12″ refractor telescope made by the Lohmanns, a telescope that fell into his hands when the former owners, Miami University in Oxford, Ohio, planned to demolish the massive observatory apparatus to build a new student building in 1960. Peltier rescued the valuable installation, ushering it to his home in northern Ohio on several large trucks, and for decades he hosted stargazing sessions for the public, much as the Lohmann’s once had in Greenville with their early device. William Tyler Olcott, another popular twentieth century astronomer, purchased a 5″ Lohmann equatorial refractor, which he installed in an observatory on the roof of his house. The Citadel, the Military College of South Carolina, purchased a 7″ Lohmann refractor in 1913. Parsons College in Fairfield, Iowa, used a 9″ refractor telescope from Lohmann Brothers for decades before eventually selling it to the Insights Museum in El Paso, Texas, who them transferred it to HUT observatory in El Paso when the museum was torn down. Taylor University in Upland, Indiana, had a 10 1/4″ reflector telescope from the Lohmanns. 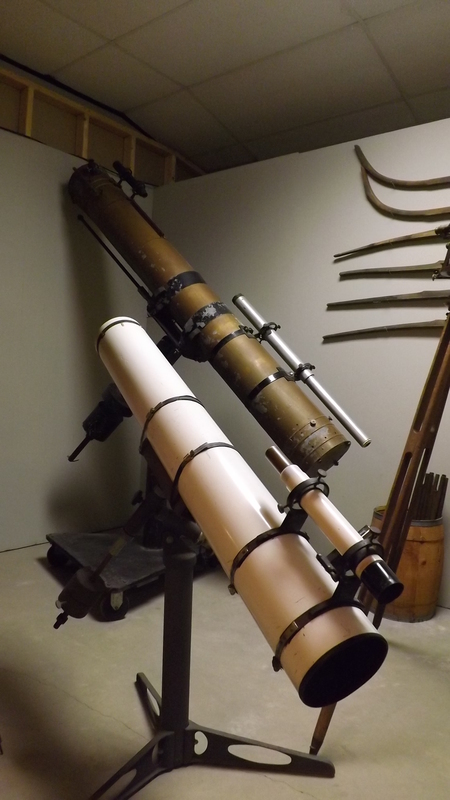 In 2010, a private owner in Battle Creek, Michigan, reported to Antique Telescopes he was restoring a 4″ Lohmann refractor, but no further information is available. 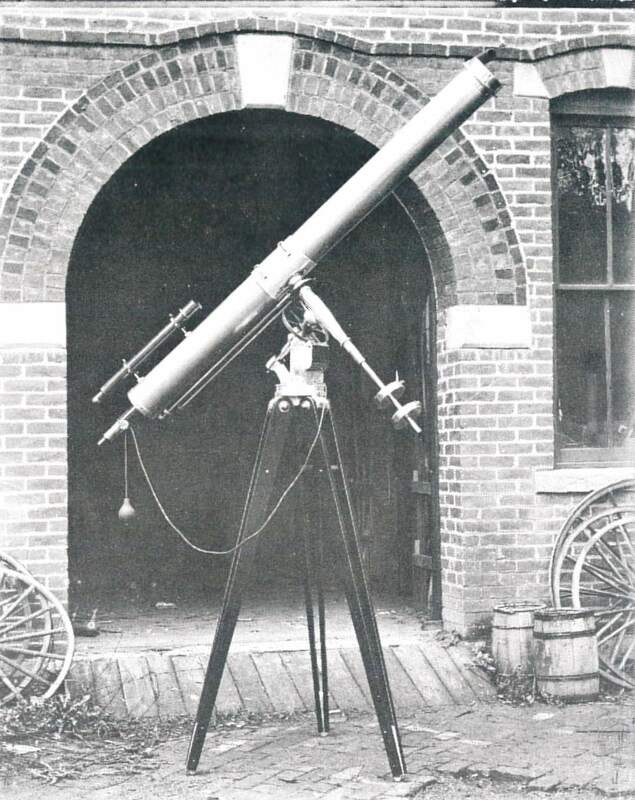 The Dayton Astronomical Society purchased a 6″ refractor from the brothers for $2,000 in 1910 (almost $50,000 in today’s dollars), which was housed at the Dayton Museum of Natural History (now Boonshoft Museum of Discovery). John Graham of the Miami Valley Astronomical Society confirms the scope is in storage under the Apollo Observatory at Boonshoft, and states he once helped partially restore the antique, though the process was never completed. The astronomy department at Pittsburgh State University in Pittsburgh, Kansas, owned a 10″ Lohmann refractor. In a September 1928 correspondence with Fort Hays State University (then known as Kansas State Teachers College of Hays), Kansas, Pittsburgh professsor J.A.G. Shirk said, “We secured our instrument from Mr. E. Lohmann at Greenville Ohio. He makes a good instrument but is slow in delivery as his shop is not large.” The letter was a response to a flurry of inquiries sent from Hays professor W. E. Gordon to other astronomy departments inquiring about their telescopes and requesting advice on the purchase of a new scope for Hays. 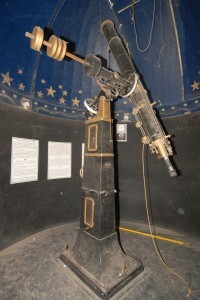 Though the Hays astronomy department considered several different manufacturers, including larger and better known shops like that of Alvin Clark & Sons Company, they ultimately went with a Lohmann 10″ F/12 refractor (meaning, as I understand it, the lens was 10″ and the focal length was 120″), and received the scope in 1932. The relationship between the Hays astronomy department and their new scope, as well as between the department and the scope’s maker, was not, at least initially, a rosy one. A series of letters between Lohmann and Professor Zinszer at Hays indicate a good deal of trouble had by the latter gentleman in establishing and understanding his expensive new toy. While the Fort Hays State University Astronomy Club, who provided me with the correspondence, only has the communication sent from Lohmann (the other half, of course, would have been sent to the Lohmann mailbox here in Greenville, and has long since been lost), it is not hard to recognize the clear frustration on the part of the telescope maker with his customer’s inability to follow (or understand) his instructions, nor is it hard to deduce Zinszer’s similar frustration with what he perceived as a faulty device. The communication from Lohmann began cordially enough, with the craftsman sending detailed instructions for installing and calibrating the very large and expensive scope, though even in these he could not resist a few preemptive barbs reflecting an irritation no doubt built up over dozens of interactions with mechanically-disinclined academics (any irregularity in the spelling, punctuation, or grammar in the quotes from these letters is original to the letters themselves). The middle quote above will no doubt strike a chord with modern day I.T. help desk employees. “We wrote yesterday and today have your letter. This we believe is the second letter of detail in six weeks, from which we suppose that you are not very much in a hurry about the telescope. A Lohmann telescope in front of the brothers’ shop on W. Main St. in Greenville. But for the most part by this point Ed was back to just giving detailed, technical information to the maligned professor, and even concludes a few of the later letters with collegial comments about the local weather, a constant adversary to anyone who wishes to gaze at the stars. “We trust you have been more fortunate in weather than we have been. Extraordinary stretch of cloudy weather here,” ends one letter. At the conclusion of another, he tells the professor they “Have finally had two clear days.” Ed seems to have been a thorny man of business, but there are hints in these letters he did hope for Zinszer to learn the ropes and gain the same satisfaction he himself had from gazing at the stars with the help of a well-made telescope. The problems with the telescope must have been worked out, because the scope is still in operation at Fort Hays (albeit with some new parts, according to Paul Adams, co-director of the astronomy club at Fort Hays), and is a popular draw on open house nights. Several other institutions are mentioned in various sources as having owned Lohmann scopes, but I have been unable to confirm these reports. These locations include University of Kansas, New Mexico State University, Missouri Western State College, Syracuse University, University of Cincinnati, University of Iowa, Hummel Observatory at Eastern Kentucky University, several observatories in Europe, and the U.S. Naval Observatory in Washington, D.C. This final connection is interesting, because it isn’t the only rumored professional interaction between Ed Lohmann and the U.S. Government. In his brief article “The Lohmann Legacy: Turn of the Century Telescope Makers of the Heartland” in a 1993 issue of the Journal of the Antique Telescope Society, Gary Pike reports a government agency contacted the Lohmann brothers during World War II about an undisclosed problem, which Ed responded to by mail. Not long after, two men from Washington dropped in at the brothers’ shop (after first asking for directions at Birt’s filling station, since they couldn’t believe the disheveled shop they had found on Main Street could possibly belong to the esteemed telescope maker) with another technical problem. Ed Lohmann reportedly pulled out a scrap envelope, scribbled down a satisfactory solution, and sent the pair back to the national capital. We can’t possibly know if this story is true or not, but it’s certainly intriguing. Several sources indicate the Perkins Observatory at Ohio Wesleyan University once owned a Lohmann scope, but this was denied by a professor I spoke to there. It turns out the observatory actually owned a scope by Warner and Swasey of Cleveland, a company that eventually bought out the Lohmann business (more on this later), so it’s at least possible their telescope contained some Lohmann parts, though this is speculation. At least one other scope has been found with mixed parts from the two companies. “With another European war in prospect and the colleges in this country broke, the large telescope business has few inducements. The Lohmanns ultimately sold their business to Warner & Swasey, a firm out of Cleveland, who marveled at the craftsmanship of the Lohmann scopes. By 1940, Ed was listed in the census as a car salesman, the same year Robert died of a heart attack while working in his home workshop on Vine Street. Edwin followed him in death twenty years later in 1960. Herschel died in 1956. By the time the last brother died, few Greenville residents remembered or recognized the significance of what the brothers had accomplished, or how far their reputation had reached in their heyday. Few of their instruments, telescopes, or lens were preserved when the business was closed. Most of it was junked, but the efforts of one local attorney preserved a few relics of the brothers’ craft. Walter Rhynard knew what the brothers had accomplished, and when their shop was being emptied and most of its contents junked, he saved as much as he could, including all the telescopic equipment currently on display at Garst Museum. Mr. and Mrs. R.C. Brown bought them from Rhynard in 1973 and in turn donated them to the museum. Garst Museum now maintains a lovely (though small) display of Lohmann telescopes, lens, and gun scopes (another side industry for the brothers, especially Robert), as well as a buggy father William made for Buchy Brothers to serve as their meat wagon. Unfortunately, there are no local examples of their excellent large refractors, for which they were best known. The demolition of the third floor of the Lohmann building was captured in this photo from 1960. 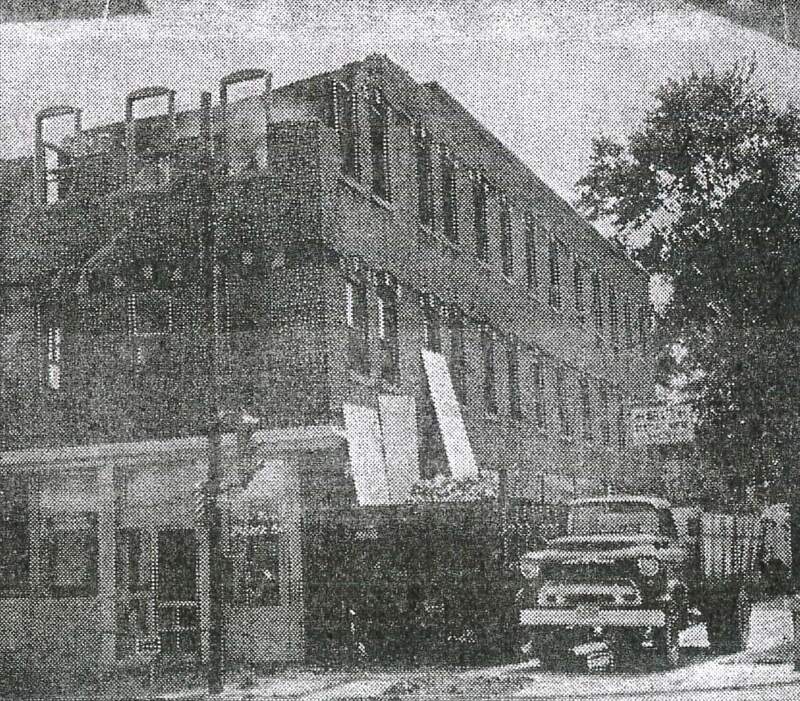 The old Lohmann building still stands at the corner of Main and Sycamore in Greenville, though the third story was removed in the early 1960s and a new roof was installed over the second floor. Bill’s Electric Service and a barbershop occupied the building at the time. It now houses Francis-Condon Insurance and the Darke County Foundation. 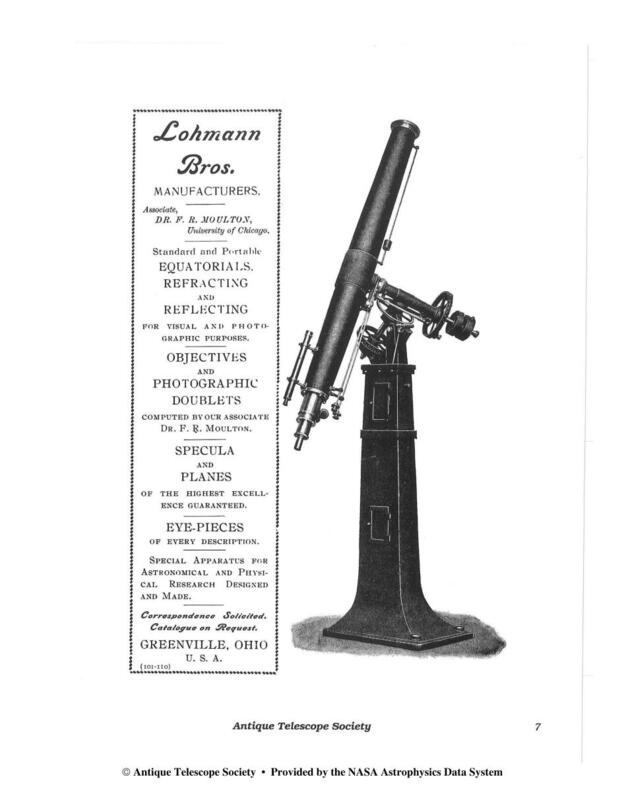 During their brief period of manufacturing telescopes and telescope parts, the Lohmann brothers rose to international acclaim within the astronomy community. Their handiwork was installed in some of the top observatories in the country and around the world, and few had a reputation that rivaled theirs in their field. Sadly, this wasn’t enough to ensure they’d be remembered in our community, as the manufacture of scientific instruments, no matter how finely crafted, is not generally how lasting fame is best achieved. The only permanent memorial to what their accomplishes meant is their small exhibit at Garst Museum. If you get a chance, head over to that institution and take a look at these smaller examples of the skill and vision of the Lohmann brothers, and the next time you look up at the night sky, remember it was a few brothers from Greenville who helped the world see it a whole lot bigger. Carolyn Fisher, Greenville Public Library Genealogy Department, Greenville, Ohio. Delphos Area Chamber of Commerce, Delphos, Ohio. Bruce A. Twarog, Professor of Physics and Astronomy, University of Kansas, Lawrence, Kansas. Don Stevens, Technical and Program Assistant, Perkins Observatory, Delaware, Ohio. S. Douglas Marcum, Emeritus Professor of Physics, Miami University, Oxford, Ohio. John Graham, director, Miami Valley Astronomical Society. Paul Adams, co-director of the astronomy club at Fort Hays State University, Hays, Kansas. The archives of the Greenville Advocate (Daily Advocate) newspaper. The archives of the defunct Greenville Democratic Advocate newspaper. Arial, Robert B., Robert B. Ariail Papers, 1803-2011 Rare Books and Special Collections, University of South Carolina Libraries. http://library.sc.edu/spcoll/findingaids/2011-1.htm. Cameron, Gary Leonard. “Public Skies Telescopes and the Popularization of Astronomy in the Twentieth Century.” Master’s thesis, Iowa State University, 2010. http://lib.dr.iastate.edu/cgi/viewcontent.cgi?article=2773&context=etd. Cotton, Fassestt A. Education in Indiana: An Outline of the Growth of the Common School System. Indianapolis: Wm. B. Burford, 1904. Fahnestock, Joe. Joe’s Journals. Arcanum, OH: J. Fahnestock, 1975. Greenville City Directory. 1935. Greenville, OH. “HUT Observatory Brings Historic Telescope to Eagle Valley.” HUT Observatory. http://hutobservatory.com/hut-observatory-brings-historic-telescope-to-eagle-valley/. Maag, Russell C. “A Six-Inch Giant of Glass and Brass.” The Journal of the American Association of Variable Star Observers 5, no. 1 (1976): 19-20. http://articles.adsabs.harvard.edu//full/1976JAVSO…5…19M/0000020.000.html. O’Grady, T. “Greenville and Darke County: Home to More Than an FOB Picnic.” The Old Barn Post XII (October 2013): 8. The personal notes of Diane Goldenetz of Phoeniz, Arizona, granddaughter of Robert Lohmann. 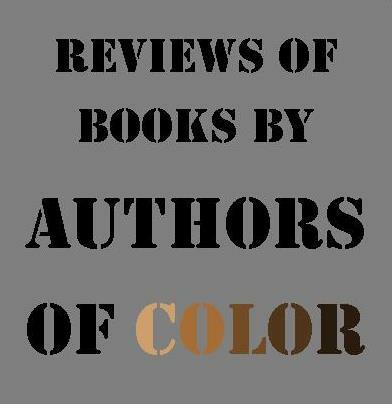 Peltier, Leslie C. Starlight Nights: The Adventures of a Star-gazer. New York: Harper & Row, 1965. Pike, Gary. “The Lohmann Legacy: Turn of the Century Telescope Makers of the Heartland.” Journal of the Antique Telescope Society, Spring/Summer 1993. Popular Astronomy, Volume X, 1902. Popular Astronomy, Volume XXI, 1913. 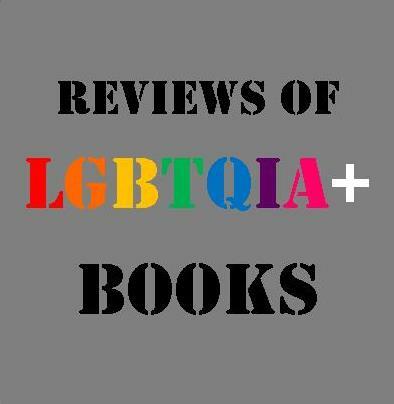 Seiler, Toni T. “In Retrospect”: Greenville, Ohio. Greenville, OH, 1989. “Twentieth-century Telescopes.” Antique Telescopes, Antique Scientific Instruments. http://www.antiquetelescopes.org/20thc.html. “Why You Should Get A Refractor Telescope.” The Scope Nut (blog), August 23, 2014. http://scope-nut.blogspot.com/2014/08/why-you-should-get-refractor-telescope.html. The boy’s father was born in 1937? Is that right or is it 1837? That was an error. I’ve fixed it now. Thanks for catching it! As a child I knew these men and lived in the same block that their shop was located. Thoroughly enjoyed this deeply engrossing and thoroughly researched article. As a child growing up in Greenville in the 50’s, 60’s, and the 70’s, and then leaving home for the military, college, a couple of great careers and finally retirement here in Northern California, reading of this piece of hometown history leaves me amazed and emotional… and very proud. Did they have a hand the in bomb sites in the b2 bomber? This is a great article and I enjoyed it very much. I knew Mr. Lohmann as a child as I lived 3 houses from his business and visited with him m any times. He always took time to talk to me even though he was busy fixing machines. I did see his telescope that he then had displayed. Thank you again for this piece of history.